Most people wouldn't be able to live without their garbage disposals. They help keep the kitchen smelling fresh, help reduce potentially harmful bacteria and make cleaning up after meals a breeze. 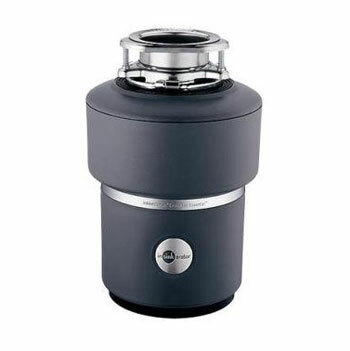 With a little care and maintenance, a garbage disposal should last several years. Safety is important when clearing your garbage disposal. Before you start, be sure to turn off the fuse that regulates power to your garbage disposal to ensure there is no chance for the unit to turn on while you're clearing it. Using tongs or pliers, you may be able to remove any non-disposable items stuck inside your garbage disposal. You should try to avoid sticking your hands inside of the disposer, but if it becomes necessary to use your hands, be sure that the power to the unit is disabled. You can combine two cups of ice cubes and a cup of rock salt to make a great cure for malodorous garbage disposals. Fill the garbage disposal with the ice cubes and then pour the salt over the ice cubes. Run cold water and turn on the garbage disposal for approximately 5-10 seconds. The combination of ice and rock salt will help knock sludge and debris off of the grinding elements so that they can make their way down the drain. If you don't happen to have rock salt, substituting a cup of vinegar will also work. After you've cleared and cleaned your garbage disposal, you can use citrus peels (oranges, lemons, limes, grapefruit) to help freshen up your sink. Put a handful of citrus peels into your garbage disposal, run the cold water and turn on the disposal. The citric acid will help deodorize your disposer and leave your kitchen smelling fresh. It's especially a good idea to clean your garbage disposal before you leave your house for a few days. Having food, sludge and debris sitting in a moist garbage disposal that isn't being used is a sure fire recipe for breeding odor-causing bacteria. Following these easy steps will help keep your garbage disposal working properly and your kitchen sink smelling clean.